Hempsell Astronautics offers its expertise and consulting services in many areas of astronautics including space system design, project management, proposal preparation and degree level space engineering lectures. 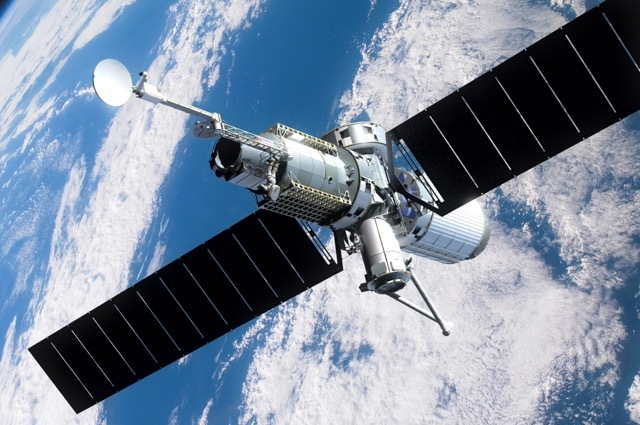 Hempsell Astronautics is supporting Guest Associates (Europe) with its studies into a system to remove satellites from the geostationary orbit environment and permanently store them at a controlled location. The system is called Necropolis (a graveyard away from the populated city) consists of two spacecraft which are launched together on an Ariane 5 or 64. One of these, called “Hunter”, would be used to capture non-functioning satellites from geosynchronous and graveyard orbits, and take them, not to an unregulated and potentially dangerous graveyard orbit, but to the other spacecraft, called “Terminus”, orbiting in a super synchronous orbit above the current graveyard orbit, where multiple dead satellites could be secured in a safe location, preventing future mutual collisions and reducing the overall collision cross section. A study report produced in 2016, with support from the UK Space Agency’s National Space Technology Programme, is available on the down page. Hempsell Astronautics is supporting the British Interplanetary Society project to create a quarter sized cube satellite, called Q-Cube, which is intended to become an open source design for schools and universities to realise small satellite projects. The design centres on a 3D printed plastic structure housing either a Raspberry Pi Zero or Arduino control computer. Hempsell Astronautics is engaged in establishing an organisation to define and control a universal connection standard for spacecraft, satellites and launch systems called the Universal Space Interface Standard (USIS). A paper published in the Journal of the British Interplanetary Society can be found on the Download page. The Post ISS Architecture (PIA) Study was an internal study conducted by Hempsell Astronautics both as a contribution to the discussion on options when the International Space Station (ISS) is decommissioned, and as part of the validation of the USIS requirements. The study concept was for four or five small stations that would replace ISS and together provide an overall capability equal or greater than the ISS currently provides. The feasibility design required three launches for each station with any launcher with 10 tonnes or more capability. Each launch would be a standard Utility Module with a specialist module. The three specialist modules are a Core Module, a Habitation Module and a Laboratory Module. Once assembled with provisions and an experimental load each station has a mass of around 50 tonnes, about 14 Kilowatts of continuous electrical power and crew of three or four. The first of a series of science fiction stories called Promenade à Deux” has just been published on Amazon Kindle. This series will all have accurate astronautics; with space systems that have been designed within existing engineering knowledge and the astrodynamics worked out. The first story features an orbital outpost called Hinkley Two located a little above the Geostationary altitude. It consists of a Stanford torus type space colony combined with a 10 GWatt solar power satellite with a similar specification to the NASA 1979 reference design.